Can You Identify a Sinus Infection by Mucus Color? We hear a lot of wives tales, myths and home remedies from our patients. Some have been passed down from generation to generation so often they really are just regarded as fact. One of the most common is the idea that the color of your nasal drainage indicates whether you have a cold, allergies or a sinus infection. There is some truth to the color myth, but not much. Typically, if nasal drainage changes from clear to another color, or increases in amount, there is a virus, such as the common cold, at play. Colds will cause a variety of color changes, including green, brown, yellow and any other gross color you can imagine. The common cold will last about a week, and is not a reason to panic, unless the mucus is bloody. 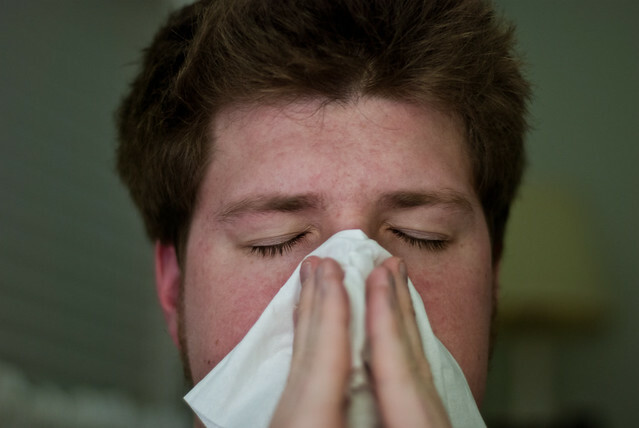 However, if you do notice that the nasal discharge lasts over a week, is accompanied by a fever, pain in the face or head ache, causes difficulty breathing or persistent coughing, it’s probably time to head in and get it checked out as it might have turned into a bacterial sinus infection.